Hollywood has been trying (and sometimes succeeding) to get a film based on the life of daredevil Evel Knievel off the ground for years, and it looks like the next in line to give it a shot may be one of history’s best filmmakers. Per Deadline, Oscar-winning The Departed scribe William Monahan has signed on to script a feature based on Knievel’s life for Paramount Pictures, with the studio hoping this will coalesce into a directing vehicle for Martin Scorsese. The filmmaker’s Wolf of Wall Street screenwriter Terrence Winter is onboard as a producer, so there are plenty of familiar faces aboard, and the source material is Sheldon Saltman’s book Evel Knievel On Tour, which enraged the real-life daredevil upon release. 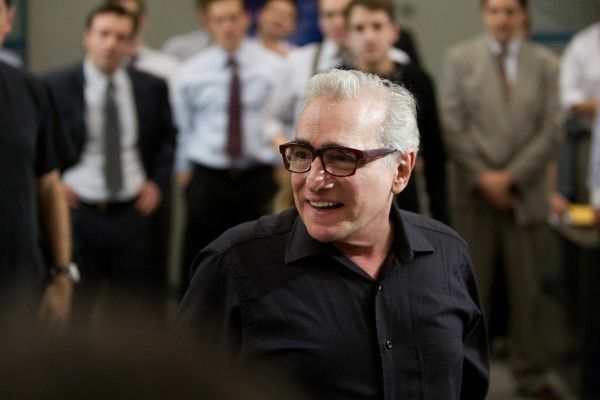 Scorsese won’t make a decision about attaching himself as a director until Monahan turns in a script, but it would certainly be fascinating material for the filmmaker. Recently, Darren Aronofsky was attached to direct a film about Knievel at Sony starring Channing Tatum, but he subsequently left the project in favor of helming an original feature with Jennifer Lawrence. As for Scorsese, he has his faith-centric passion project Silence in the can and is in the midst of a post-production process that hopes the be completed in time for a Cannes 2016 debut. He has already lined up his next likely project, an adaptation of Erik Larson’s historical novel The Devil in the White City, for which he will reteam once again with Leonardo DiCaprio. Monahan, meanwhile, recently helmed the two-hander Mojave (currently awaiting release) and scripted last year’s Mark Wahlberg-fronted remake The Gambler, which at one point Scorsese was also attached to direct.